Enclave at Park Forest is a 55+ community in Elkridge, Maryland. Active adult homebuyers will love the low-maintenance homes and close-knit neighborhood environment. Ryan Homes built just 45 attached residences that will feature cottage-style designs and luxurious fixtures throughout. This active adult neighborhood also features a charming clubhouse in a wooded setting where residents can gather and get to know each other better. Located in the heart of Howard County, residents of this active adult neighborhood in Maryland will never be too far from daily conveniences. Easy access to major roadways as well as plenty of shopping, dining, and entertainment options are all a few minutes away. Residents of this 55+ community enjoy quaint amenities found at the clubhouse. The clubhouse is the focal point where all homeowners come together to mingle with their neighbors, pursue fun activities, or learn new hobbies. With plenty of parks and natural spaces surrounding the clubhouse and community, residents have no problem staying fit and active outdoors while getting some fresh air. Well-known builder Ryan Homes began construction of Enclave at Park Forest in 2016 and built 45 attached residences. 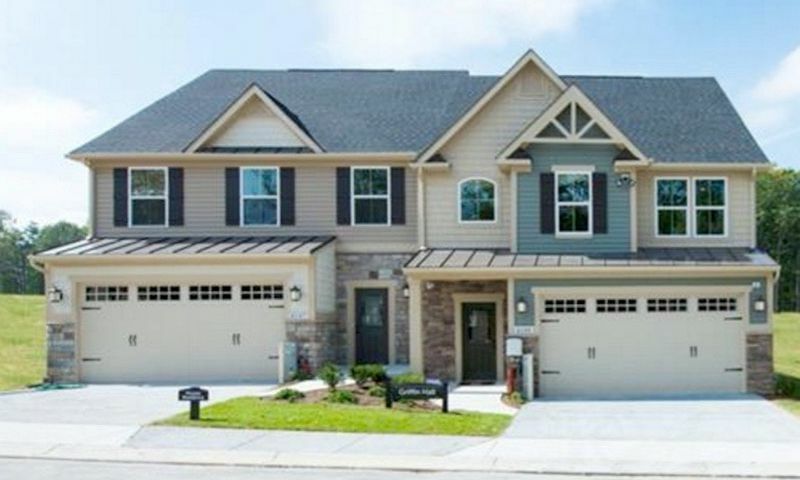 Ryan Homes offers active adult homebuyers the Griffin Hall floor plan in this community. This attached home is 2,253 square feet and has three bedrooms, two-and-a-half or three-and-a-half bathrooms, and an attached two-car garage. These cottage-style residences feature open layouts, granite kitchen countertops, main-level master suites, hardwood floors, GE stainless steel appliances, unfinished basements, and custom lighting. Active adults will also enjoy a low-maintenance lifestyle in this age-restricted neighborhood. Residents never have to worry about mowing the lawn, raking leaves, or shoveling snow because it will be included in their monthly fee. Homeowners will also enjoy planning social events, clubs, and activities with neighbors as the community continues to grow. Homeowners living in Enclave at Park Forest benefit from having an ideal location in Howard County. The area is surrounded by everyday necessities. Lynwood Square is a few minutes away and provides local shops, restaurants, a bank, and Giant supermarket. The Mall in Columbia offers additional dining and shopping options and can be reached in 20 minutes. Interstate 95 and Highway 100 are close by for getting around town. Just around the corner there are outdoor recreational options like Timbers at Troy Golf Course and Rockburn Park. Howard County General Hospital is 20 minutes away for all your medical needs. For historical attractions, cultural museums, and big-city entertainment, Baltimore is less than 30 minutes away and Washington D.C. is an hour's drive away. When traveling farther is necessary, Baltimore/Washington International Airport is 15 minutes away. Active adult homebuyers will love everything this 55+ community has to offer in Central Maryland. Check back soon for more information on the lifestyle in Enclave at Park Forest. Ryan Homes offers active adult homebuyers the Griffin Hall floor plan. This attached home is 2,253 square feet and has three bedrooms, two-and-a-half or three-and-a-half bathrooms, and an attached two-car garage. These cottage-style residences feature open layouts, granite kitchen countertops, main level master suites, hardwood floors, GE stainless steel appliances, and custom lighting. 55places.com is not affiliated with the developer(s) or homeowners association of Enclave at Park Forest. The information you submit is distributed to a 55places.com Partner Agent, who is a licensed real estate agent. The information regarding Enclave at Park Forest has not been verified or approved by the developer or homeowners association. Please verify all information prior to purchasing. 55places.com is not responsible for any errors regarding the information displayed on this website.